Printing screen is a matter of taking the screenshot of the mac and then bringing to print for. As windows bring the print screen button on the key boards is easily accessible but we mac users are not that spoiled, we only have is a few short cut keys to access all the features that are more than any windows laptop. So, if you want to know how to print screen or take a screenshot on the mac you are at right place. 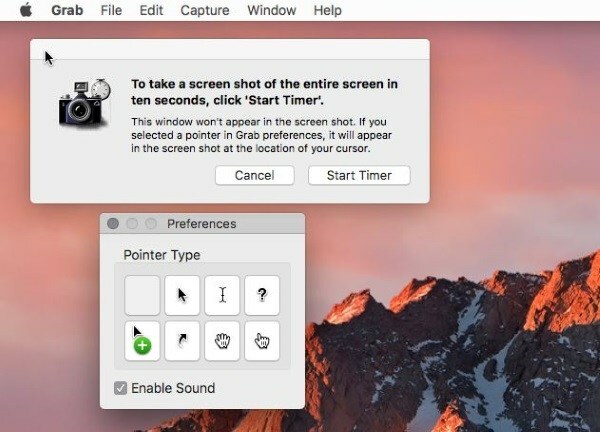 Mac provides you the access to different requirements of taking the screen shot of the screen, it could be the entire screen, a little portion or just the dialogue to bring out to print. We have to just use some shortcut keys to perform the task. All these three-different cases have different shortcuts, Depending on the requirements. This is the basic and simplest of all the 3 and can easily be done by the help of the shortcut i.e. command + shift 3. Then the file will be saved in the .png form on the desktop. You can access it from there and can open it in the Graphic editor following by doing what you want to do. It is the most helpful thing for the people who write blogs and show tutorials for something which requires the screenshot of the particular section of the screen. This helps in creating the focus onto that portion only which we are likely to show. STEP 1: Press Command + Shift 4. This will change the cursor to a crosshair. STEP 2: Move the crosshair to the start of where you want to capture. STEP 3: Hold down the mouse button or trackpad and drag to encapsulate the entire area. STEP 4: Release the mouse button to trackpad to make the capture. Hence, the image will get saved on the desktop in .png from and can be used in graphic editing tool for whatever purpose. As it can also be performed by the above method, but there is also one command for taking the screenshot of the dialogue window on the screen. As I said we are been blessed by more features just by few shortcut keys. STEP 1: Select Command + Shift 4 and hit Space. The cursor should change to a camera. STEP 2: Move the camera over the window you want to capture. STEP 3: Click the mouse button or tap the trackpad to make the capture. The image will get saved in .png form on the desktop from where you can do whatever you want to. Delivering a good tutorial for the users includes the proper screenshot of the thing which you want your users to do and follow. I personally use such things to deliver the good things. Screenshot of the meu to make it clear for the article readers. Here is how you can do it. STEP 1: Click the menu you want to capture. STEP 2: Select Command + Shift 4 and the cursor changes to a crosshair. STEP 3: Drag to include the menu and a little window context. STEP 4: Release the mouse button or trackpad. As this can be done by different methods also but perfection that is required is at the actual short cut offered. This file gets saved to .png form on the desktop and bring you the access to edit it as per the requirements. This for the purpose of bringing the perfection into the desired post , regarding the exact timing of taking the screenshot of a video or may be a GiF or any video loop. In here the timer works as the standard way to get this work done, for this we have to change some utility that are built-in that can make taking screen shots easier. STEP 1: Open Utilities, Applications and Grab. STEP 2: Select Capture in the top menu and Timed Screen. STEP 3: Select Start Timer and set up the screen to be captured. The default is 10 seconds. You can change it as per your requirement. The process of saving the file will be same as in the .png form and will bring the access of being editable as you want. There could be some time you can have your screenshot blank, nothing to worry about you are not alone, it happens but following the same practice again would get you the expected image. Having a blank screen shot of this purpose is a common thing. On the other hand, using all the methods provided above are successful in almost every situation. So, have a look to it practically and let me know below if you faced any problem while doing so. Hope, the above article is helpful for you. If you have any doubt then let us know in the comments. Don’t forget to subscribe to our newsletter to get latest updates on your email.